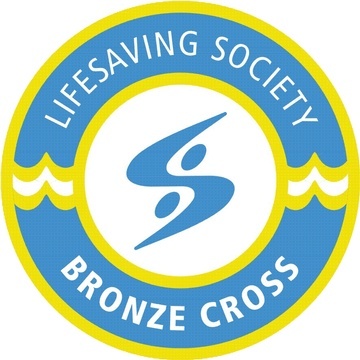 Bronze Cross is the next level in the lifesaving chain. This course will bring you one step closer to becoming a certified Instructor and/or Lifeguard. 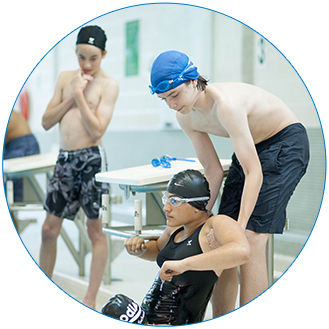 Bronze Cross builds upon the foundation established in Bronze Medallion and teaches more complex and advanced lifesaving skills, for example the difference between a lifesaver and lifeguard is outlined and deep water spinal injury management. This course provides comprehensive training covering all aspects of first aid and CPR. Standard First Aid incorporates all of the Emergency First Aid content and is designed for those who require a more in-depth understanding of first aid including: legal implications of first aid treatment, spinal injuries, heat or cold injuries, bone and joint injuries, abdominal and chest injuries, burns and medical emergencies. It provides knowledge of how the heart works and what goes wrong when defibrillation is required. Candidates will learn when and how to operate a public access defibrillator.